The upcoming mid-engine Corvette is one of GM’s worst kept secrets. There were some early reports that it would be making an appearance at the Detroit Auto Show next month, but some new information has surfaced, which reveals why this is no longer the case. 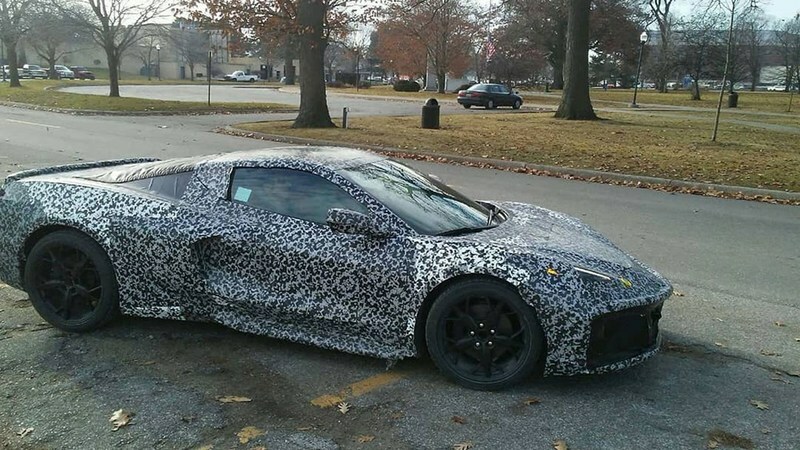 According to some sources from GM Authority, the C8 has been delayed by six months after engineers discovered a “major electrical issue” with the car. The current electrical system that GM has placed appears to be insufficient at carrying the necessary load for its various components. The fix is not looking to be simple either as the entire electrical loom will have to be reconfigured from the ground up. With this delay in mind, we do not expect to see the C8 until the second half of 2019. Leaked images such as the vehicles key fobs all seem to confirm that it will launch as a 2020 model year. While it’s great that GM has found such a major problem prior to its release, we wonder why it’s taken this long to identify. Test mules have been spotted in Detroit for months now, so why the sudden discovery so close to its public reveal? If the C8 was debuting with a new kind of hybrid system then this would make more sense, but GM has been building cars for close to a century. There have also been many leaks in regards to the C8’s official nameplate, with Manta Ray and Zora among some of the possible options. There is no need for GM to risk the heritage of the Corvette platform with this new model, and they should instead offer it alongside the C7, under a different name. This is the car that Chevrolet has been trying to build since the late 1960s, so this is not an opportunity that should be wasted. By creating a new, stand-alone model they could easily expand upon the brand in a unique and organic way. Whether 6 months is enough time for GM to address the C8’s issues remains to be seen. With the massive job and budget cuts that the automaker has planned, the longer it gets delayed the less likely it is to see the light of day. We can all agree that this new model could end being the giant slayer GM has been waiting on. Last edited by C8 Corvette News; 01-07-2019 at 03:25 PM. I do think that something else might be at play here. Would they still be out road testing prototypes with such a serious issue affecting the platform? There are so many layers to testing and so little we know about what they're doing every single time pictures surface. Should they not be testing? This is one of the most complex products to develop and many other areas of the vehicle to be tested before going off to the public. We don't really know all that many details about this electrical issue and it might not affect every prototype. My guess is that it wouldn't really impact daily driving and only really becomes noticeable when you begin to do some harder runs. GM has more reasons to get it right from the start even it it means delaying than to rush the C8 out. Last thing they want is another flop like the Viper or NSX. When the problem first presented itself, they were probably hoping that the fix would be a lot less involved. Its good sign to me that they decided on a delay rather than bringing the C8 to market and issuing a recall. The coming round of shows; NAIAS, NY, LA, and so on should help in getting more information from their executives before the debut. Only after that point would my concerns for whatever gets addressed/unaddressed would grow. I would be surprised if they were willing to share specific details about the problem, especially without a proper remedy. 6 months isn't much time to redo the entire electrical system and perform road tests. Good luck hearing anything beyond what ensures them that you won't demand your deposit back. With no official information from Chevy themselves in regards to specs and pricing, I doubt that many pre orders have been placed. Are we thinking that the first run will probably be fairly limited?